Il Sogno | Associazione "Un Sogno Sotto il Baobab"
Welcome to THE BAOBAB EDUCATION DREAM FOUNDATION (BEDF), an organization dedicated to support the children in Malawi through human interaction and sustainable education materials. We believe that it is the right of every child to receive hope for a better future, unconditional love, and protection from diseases and education to human growth. Our focus us to establish and support a holistic model for providing individualized, socially responsive and quality education to deprived children and address children and address nutritional needs and other health problems. BEDF wishes to see children of Africa (Malawi) growing into full human beings, receiving total care, love, hope and education for good citizenship. BEDF Malawi is dedicated to empower children and communities through an integrated approach to sustainable education development. We strive to support nursery and primary school children and local communities with a strong emphasis on a sustainable human development. To educate boy and girl child in rural areas of Malawi. To provide essential materials (fees, uniforms, books, pens) for education sustainability to the less privileged pupils in the society. To reduce early school dropout in primary education. To encourage parents and community to send their children to school. To share with the malnutrition children food and other material necessities (clothes, school fees, medicine) of life. Most children in rural areas of Malawi face serious challenges daily: They receive less love, support, care, less education. Inspired to make a difference by giving the children a chance to make their dreams and aspirations become a reality. In 2007, Bishop Thomas Msusa, Fr. 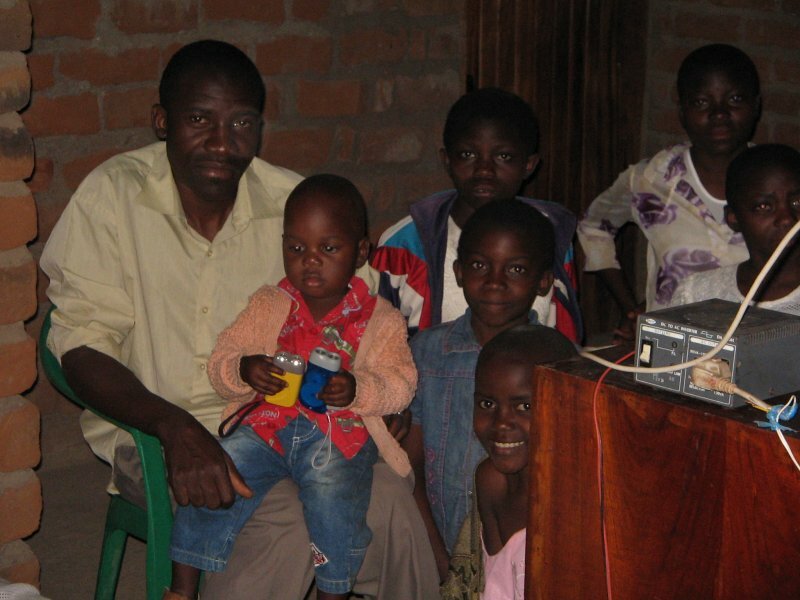 Vincent Troletti, a passionate Montfort Missionary who worked in Malawi for over 10 years, together with family members and friends from Italy had a dream of establishing BEDF, a nonprofit making organization dedicated to bring hope, love, protection and education to some children in Malawi. The Foundation had first established its Centre at IBA in Mangochi District with the full support of local chiefs and councilors. The Iba centre that is called Tukamulane is comprised of the following villages: Chilungo, Nsongolo, Amidu, Maundu and Iba. BEDF supports the nursery school children with food, clothes, sports equipment and other financial necessities. THE BAOBAB EDUCATING DREAM FOUNDATION (BEDF) organization has been established to respond to the needs of the underprivileged children in Malawi. The aim is to improve the educational opportunities for the children through human interaction and material support. The education of disadvantaged children and orphans is the centre of our work. To date we have supported over 80 children of Tukamulane Nursery school to go to primary school. Over 30 youth have completed secondary school and others have joined tertiary or technical schools through BEDF support. There is one who is finishing university education who is under the support of the Baobab Dream Foundation. For over 70% of the support is used directly to help the education and feeding of children. We believe that each child has within her/him a talent and BEDF objective is to help each child we support to achieve her/his full potential in life through access to nursery and primary school and perhaps secondary school in their communities. Funding for this work is mainly from child sponsorship from our friends and supporters. BEDF believes that education is a vital key for human growth, empowerment, child protection from hazardous labour and sexual exploitation. It is through education that child rights are protected and defended. The persuasion of education opportunities will enhance democratic values and will protect the environment. Hence, BEDF believes that universal access to basic education and the achievement of primary education by children is one of the most important goals of human development indicators. BEDF believes that education is a Key to human Success and promotes knowledge of the world around the children, while opening doors to brilliant career opportunities. It builds confidence to make decisions, to face life, and to accept successes and failures. Education provides the children with skills, knowledge and will lead them to a productive lifestyle. Supporting BEDF will help opening doors of children opportunity that are only available to those who seek them out and put their hearts and souls into them. Through education and becoming exposed to added knowledge and experiences, people can find for themselves what they are best suited or most interested in doing for the rest of their lives. Malawi is a landlocked country located in south-eastern Africa. It is bordering Tanzania to the north, Mozambique to the south east and Zambia to the west. Malawi is one of the poorest countries in the world and in fact it ranks second from bottom among the world’s poorest countries. It is predominantly agricultural society that is prone to frequent and widespread existence of natural and catastrophic shocks of unpredictable climatic changes that cause droughts and floods. Too much rain and the crop (maize is the staple food) is rotten; too little rain at the crucial flowering stage and the crop is lost. This predicament particularly affects the majority poor people who rely on subsistent farming. The agricultural soil has been depleted of nutrients, making farmers dependent on artificial fertilizers which are too expensive so much that a poor famer cannot afford to buy a bag of fertilizer for his/her garden. The survey has indicated that more than half of the population of 13.1 million people are living below the poverty line, experiencing the acute and ultra-poverty, such dire poverty that they cannot afford to meet even the daily recommended food requirements. They live on less than a dollar a day. Malawi is one of the leading countries with many orphans and needy children due to HIV/AIDS. Over 50% of the children under the age of five experience stunted growth as a result of a serious challenge of chronic malnutrition. The AIDS epidemic increases the problems as many of the rural poor are too sick to work and others have less time to farm as they care for sick relatives. It is worth noting that more than 12% of the population in Malawi is infected with HIV. Primary education is not universal in Malawi: Almost 30 percent of poor children do not even start primary school. Further, very few children actually complete primary school, largely because their families cannot afford it. Education after the primary level is largely limited to non-poor households. This is especially important because education has a substantial positive impact on incomes. Higher levels of education are correlated to being non-poor. Households whose heads have completed primary education have higher per capita consumption by about 12 percent on average. The impact of secondary education is much higher, increasing household per capita expenditures by almost 40 percent. Further, while the primary enrollment rates are high by regional standards, very few children actually complete primary school because of the cost of schooling. Education after the primary level is beyond the reach of most households in Malawi. The secondary net enrollment rate is only 15 percent. Malnutrition is widespread and constitutes the most severe challenge facing Malawi. A staggering 44 percent of preschoolers are stunted (of which 18 percent are severely stunted). Worse, these figures have remained more or less static for the last 14 years. Stunting is universal, affecting all regions of the country and cutting across all wealth categories. Such exceptionally high levels of malnutrition have persistent long-term impacts, as malnutrition diminishes future productivity, thus perpetuating their vulnerability to poverty traps in the future. Over time, nutritional education programs may help to improve the Malawian diet. 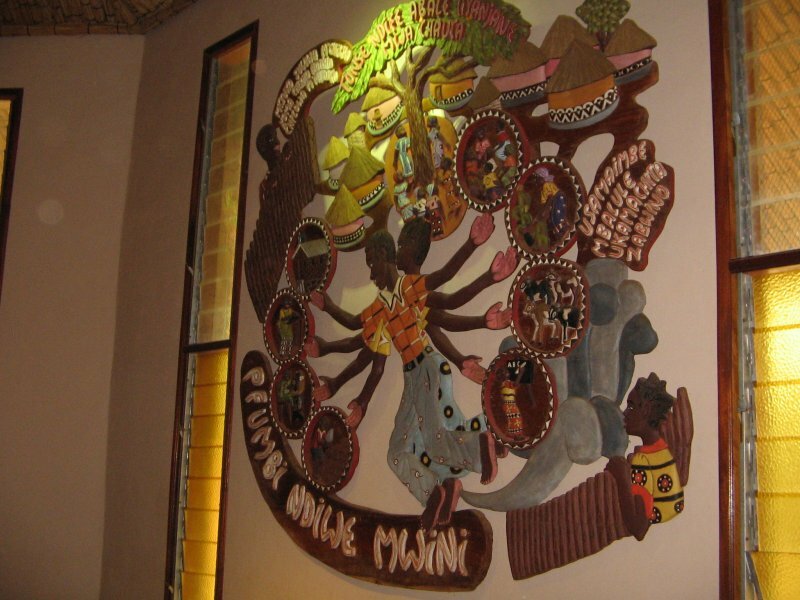 The characteristics, symbolism, allegory and stories of the baobab tree in Malawi and in the establishment of the Baobab Foundation are very rich with deep meaning and help the members of the foundation to understand the vision and mission of the Baobab Foundation, educating the Malawian Child is all about. The baobab tree can survive long periods of drought and is not very often that a baobab tree is seen with leaves. Usually, leaves are seen in a short time during rainy season. However, a baobab is capable of storing thousands of litres of water from rainy season to sustain itself throughout the dry times. The villagers use some parts of the tree for various activities to sustain life: Its bark, leaves, fruit, trunk are all used by people and other animals. The villagers feed the leaves to the animals or dry them for condiments, or pound them into nutritious powder for medicine and vitamin A. They pick up its fallen twigs for firewood while using its bark for clothing and rope. The fruit is eaten (food) or provides juicy vitamin C. The trunk is a home (house) for animals and human beings. Its roots are medicinal. When in leaf, it provides shade for animals and human beings. For centuries, the baobab tree has provided a meeting place for dialogue, sharing stories and debate of important issues and ideas. It has provided a shelter for children and adults to learn about their cultures. For some cultures it is the tree under which a human person was born. Looking at the characteristics of the baobab tree above, one can discover how this giant tree can create its own ecosystem with hollowed-out trunk, leaves, foliage, nectar, fruit, and bark providing habitats for many different creatures. Hence, the tree holds out hope that whole cultures will be healed and mended, becoming places where people can flourish and become successful in life. The baobab tree becomes a symbol of endurance, conservation, creativity, ingenuity and dialogue. The great baobab tree is the tree of rest and resolution. The five leaves of the Baobab Tree resemble an outstretched hand, as if reaching out in friendship. The Baobab Education Dream Foundation aims at providing opportunities for children in rural and in some urban parts of Malawi, who could otherwise not be able to go and attend school. We believe that every child should have the opportunity to attend primary school as a starting point. We are convinced that education is the best way to break the cycle of poverty for children in rural areas of Malawi. It is well understood that poor uneducated children grow up to be poor uneducated adults. Children of poor families are less likely to enroll in and complete schooling because of the associated costs of attending school. 5. OUR APPEAL FOR FINANCIAL, MATERIAL AND MORAL SUPPORT……. Just one second with these amazing children and you will fall in love forever. They become a part of your soul, heart, and inspiration for life. You will discover that these children have lost so much, yet their hearts are filled with love and hope for the future. Help a child go to school in Malawi: You can get involved! Opportunities are available to sponsor a child or to volunteer to deliver school kits to children in Malawi. If you would like to donate or volunteer, please contact us! The cost of uniforms, supplies and transportation may well be beyond the means of a poor family, especially when the family has several children of school age. However, education is not a way to escape poverty; it is a way of fighting it. We are saying that education is the most powerful weapon which we can use to change the world. And to do that we should believe that education is not the filling of a pail, but the lighting of a fire. And that education is more than a luxury; it is a responsibility that society owes to itself. Our mission is to provide care and sustainable programmes to vulnerable and orphan children. We believe that this mission can be achieved by helping communities to develop their long term capacity to help themselves and so far we are making progress…..
As the operations of BEDF continue to expand, so do our requirements for additional funding! We are well aware of the demands upon our friends/supporters to help so many worthy causes in these difficult and trying times. To run a nursery school for one full year without interruptions: thus educating and feeding the children (120) with a meal and a cup of porridge or tea daily, paying staff allowances and stationery, we need about 4,320EUROS. Just know that you are part of the dream of BEDF becoming a living reality, making orphans and vulnerable children forever useful, happy members of a big community, hence good citizens! Your support goes straight to the beneficiaries without any second or third party interventions! … We are very grateful to you for your moral, spiritual, material and financial support. May God bless you all! At the moment we have 87 children at Tukamulane that we are assisting but now is just the beginning of the school year. There will be many children around 150 during the month of November and December because the food will become less and less in the families, prompting the children to go and eat at the school.